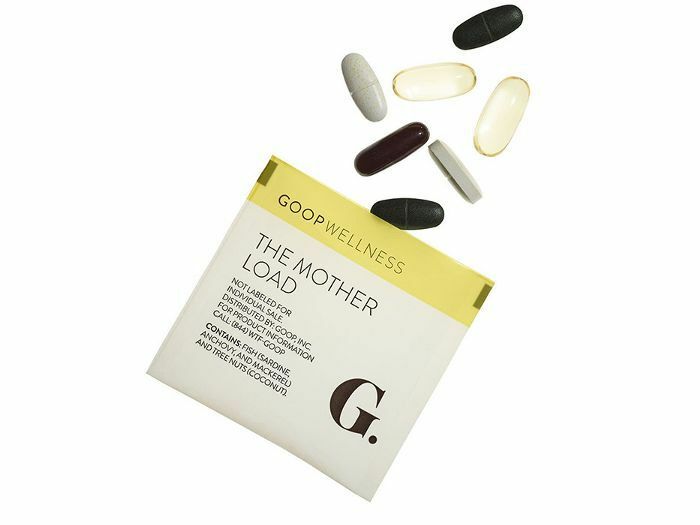 It was only a matter of time before Gwyneth Paltrow cornered the supplement market. 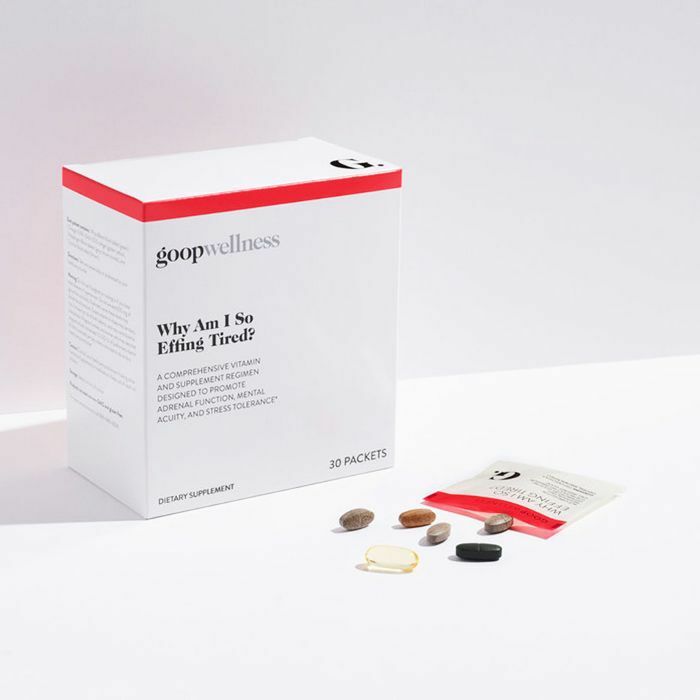 Hot on the heels of well-branded female vitamin startups like Ritual and Care/of, Paltrow has announced the launch of Goop Wellness, a series of prepackaged supplements designed for different health issues that keep us from running at 100% on a daily basis. Each of the four cheekily named packs contains a series of vitamins curated by leading experts in the wellness industry. For example, Alejandro Junger, MD, designed a pack to address adrenal fatigue called Why Am I So Effing Tired? ($90)—it contains an omega-3 supplement, licorice root, an adaptogenic blend, and a phytonutrient multivitamin. 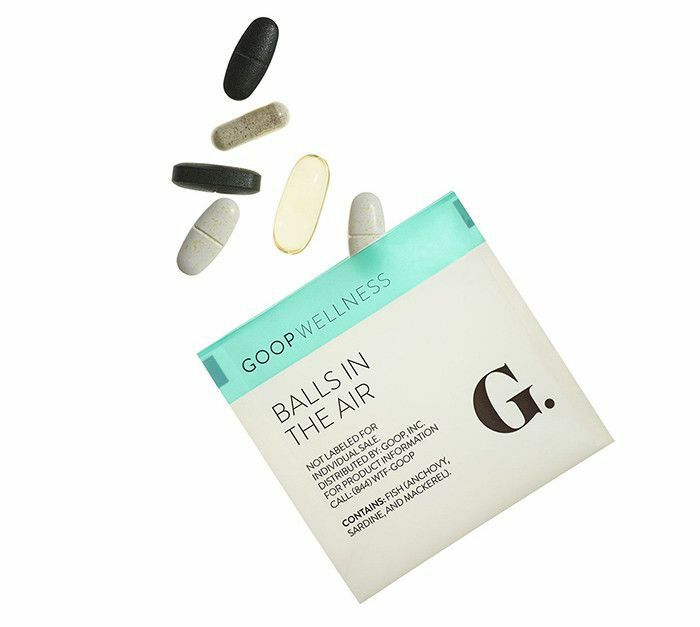 Balls in the Air, meanwhile, was designed by Amy Myers, MD, to tackle overall health and wellness. You'll also find that phytonutrient multivitamin and omega-3 blend in here, in addition to the immune-boosting antioxidant glutathione and broccoli extract, another enzyme-packed antioxidant. 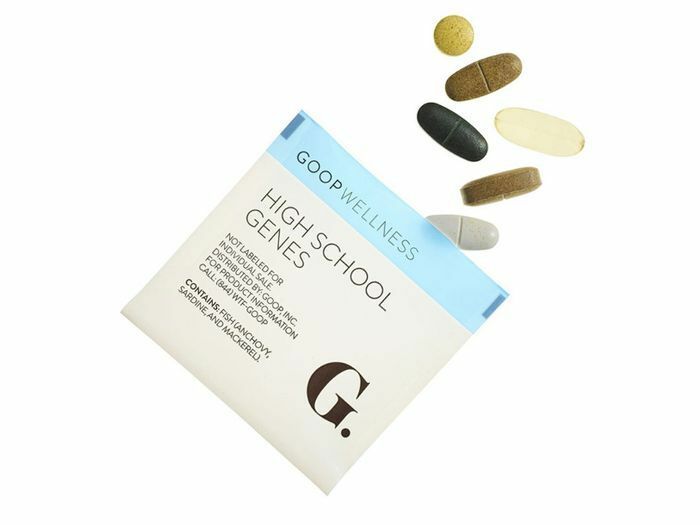 High School Genes was created for women who want to boost the results of regular diet and exercise. Hormone guru Sara Gottfried, MD, curated this pack of metabolism boosters and digestion-regulating supplements. And finally, The Mother Load is for new moms looking for a pick-me-up. Oscar Serrallach, MD, curated this blend of essential postnatal vitamins. Next, find out the one beauty product Gwyneth Paltrow can't live without. Is This Happiness-Boosting Supplement the New Zoloft?